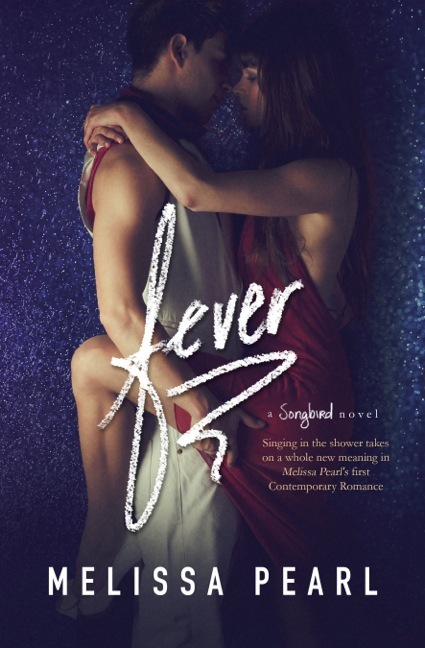 Singing in the shower takes on a whole new meaning in Melissa Pearl’s first New Adult Contemporary Romance. Cole Reynolds is on his way out. In his final year at UChicago, the only thing he wants to do is finish school and get on with his life. But the sweet voice that interrupts his morning shower turns his world upside down. Compelled to find his shower songbird, he begins a search across campus. The only thing to distract him from this goal is his roommate’s gorgeous girlfriend who’s just arrived from LA – Ella Simmons. Fever is one of those books that make you want to read everything you can by that author. It was an addicting read, that was easy to slip into and nearly impossible to put down. I love Melissa’s style of writing and I’m super curious to see how her fantasy novels read as well. Fever follows Ella and Cole. Ella has just moved to Chicago to go to college with her boyfriend, David, and is having a tough time adjusting to everything. I really loved Ella. She’s a bit like me in new situations. She tends to take the path of least resistance, even when she’d prefer not to, and she’s non-confrontational at the worst times. In other words, she’s totally believable. I loved her passion for singing, and was really upset that she keeps it hidden from so many people. Which is why I like Cole, because he brings out her personality in a way that David doesn’t. This is not a book about cheating, instead this is a book about what happens when two people grow apart, and one of them finds themselves craving a connection with another person. Ella’s struggle to get a grip on her relationship with David is painful and I felt awful for her. Their differences are becoming more and more pronounced to her, and she can’t help but notice that Cole compliments her. The best thing about Fever is that Ella doesn’t truly string either guy along in her quest to settle her heart, instead she puts in real effort to keep her relationship and tries to distance herself from Cole as much as possible. And COLE! I love him! He’s a bit of a player toward the beginning of the book, and doesn’t really want to settle down. However he’s a nice guy and he does have his head on straight, and he was just so swoony! I can’t wait to read the second book, Bulletproof! If you enjoy new adult contemp romances, then I definitely urge you to try this one out. This entry was posted in Book Reviews (2015) and tagged 4 stars, contemporary, new adult, review, romance. Bookmark the permalink. Aww I’ll have to grab this one. I think I’ve read a book by this author, but can’t remember which one. I hope you enjoy it Christy!